With the FinTech industry in Indian, moving towards the innovative products, features and technological tools like the Payment Bank systems, UPI linking and introducing intresting cashback models for transacting digitally, a lot of small FinTech players seem to have reached a T-point and now they need to choose which way to go. One such player in India is FinMomenta. Better known as FinMomenta Private Limited which is a fully owned subsidiary of FinMomenta PTE Ltd. headquartered at Singapore, with other offices located in Bengaluru and Chennai, India. FinMomenta founders believe that they are the Next Moment in FinTech industry. With their latest product TachyLoans, they plan to build a digital lending marketplace that connects people (Investors/Lenders) who wants to invest/lend their incomes, with people (Borrowers) who are looking to borrow funds to meet their financial requirements. The platform caters to both Individuals and Small & Medium Enterprises (SMEs). BWDisrupt interacted with Brahma Mahesh Khaderbad, Co-founder and CEO, FinMomenta to know in-depth about his future plans aand his journey with the startup. How does the platform FinMomenta work? Borrower is on boarded on the platform after complete verification of borrower’s identity, employment and income details, contact details, credit details, etc. Our platform simplifies the entire registration, application, and documentation procedure for both borrowers and investors, and provides complete transparency throughout the process. Investors can earn returns as high as 25% per annum and borrowers can avail loan at lower interest rates starting from 11.5% per annum. Interest rates are charged based on borrower’s creditworthiness. Lenders and borrowers can negotiate on the loan amount, interest rates and loan tenor through a two-way bidding process available on their dashboard. Once the loan is disbursed, we keep a track of the borrower location, social status, etc. so that the borrower is within our reach. Our platform has proprietary borrower tracking mechanisms using which we identify early warning signals of defaulting borrowers and would like to work proactively to arrest a default. Loans are covered under Borrower Insurance. In the unfortunate event of any borrower’s demise during the currency of the loan, this insurance cover protects the amount invested by the Lender. What led to the inception of FinMomenta? Having a strong expertise in various fields such as technology, banking operations and marketing, I was always fascinated to develop solutions for the financial services industry, which has driven me to take my first step with tachyloans.com. Post demonetization of high currency notes in November 2016, there has been a lot of encouragement from the Government of India to promote cashless transactions and shift its gears to digital economy. With initiatives such as ‘Digital India’, ‘Make in India’, ‘Digital Payments’, etc., there is a wide scope in the digital arena today. Tachyloans is aligned with the government’s objective of creating a digital economy and makes the entire process of lending and borrowing simpler, faster and secure by providing an online end-to-end digital space to the users. 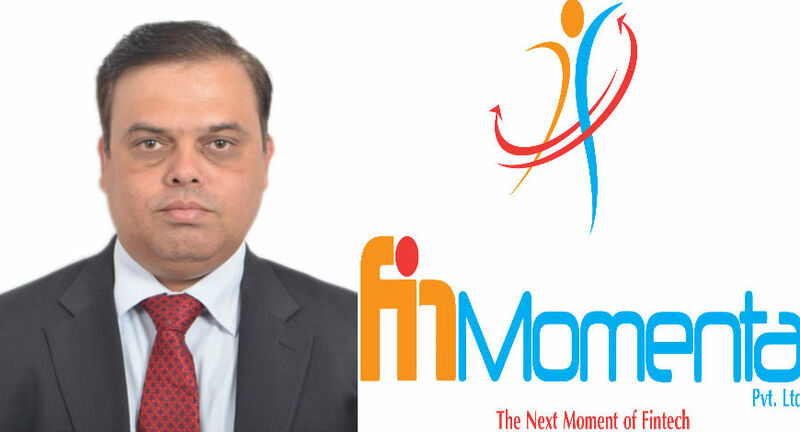 Hence, in retrospect demonetisation has been a boon for us as in September 2016 FinMomenta was established with an objective to disrupt the entire processes in financial services industry to provide convenience to the customers and automate the process for the service providers and banks. Please elaborate key features/services of Tachyloans? Tachyloans is a P2P digital lending platform that caters to both individuals and Small and Medium Enterprises (SMEs). The platform uses a unique proprietary credit scoring model enabled by Artificial Intelligence and Big Data to assess the creditworthiness of applicants. It also uses e-KYC and Aadhaar for verification of the borrowers that helps lenders to automatically invest in the recommended list of borrowers. The platform has been built with utmost care keeping all the parameters for shortlisting borrowers in place and no deviation has been taken, thereby ensuring that the credit-risk is content and have the right set of investors/lenders and borrowers on the platform which helps to maintain complete transparency throughout the process. Tachyloans not just focuses on cutting down the transaction time for lenders and borrowers but also reduces the overhead costs associated with the traditional lending process and enables us to pass on the cost savings to lenders in the form of higher returns and to borrowers in the form of lower interest rates. Lenders and borrowers can negotiate on the interest rates through Tachyloans platform. It has automated borrower sourcing, on boarding and credit scoring models to ensure that it can arrive at credit decision in a few minutes. The platform ensures that the borrower is digitally KYC verified besides physical verification. The bank statements and income documents are evaluated using algorithms without any human intervention to ensure that an informed decision to lend is made. Tachyloans also provides an investment platform for the lenders so that they can invest in loans to earn returns higher than the regular asset classes with limited risk. What is the Monetization model of FinMomenta? FinMomenta charges a service fee to both lenders and borrowers for having loans enabled on the platform. It is also looking at licensing customer sourcing platform, customer verification and on boarding platform and credit decisioning engine to financial institutions and banks so that they can reduce their cost of acquiring customers. What were the challenges while setting up the company? As a first generation entrepreneur, once the idea was born the first challenge was identifying the right team that could help bring it to life. While we had a clear understanding of the pain points from a needy, eligible but underserved Borrowers’ and from the young investors’ perspective who do not have an alternative asset class to create wealth, the challenge was in identifying the right business associates who can provide foolproof solutions to each of the different pain points. Then of course, the boot-strapping issues that every start-up has. 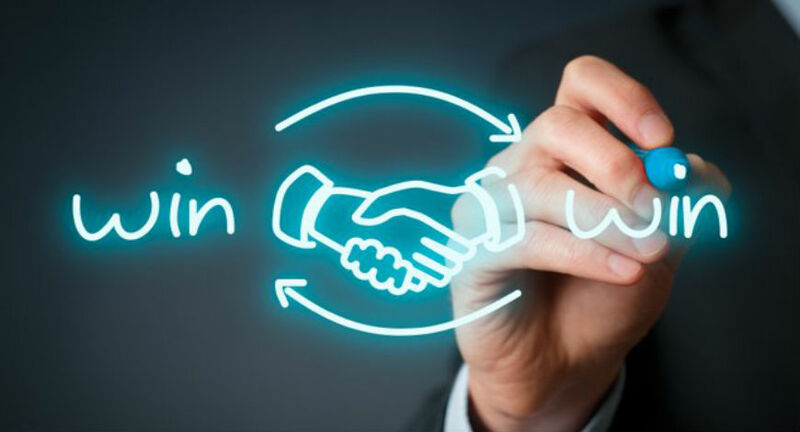 Thanks to the credibility that the founding team had in the professional career, we could get able and experienced as the advisors on our board. I must say, it has been a momentous learning experience to get thus far and as you know, the journey has just begun. What is the market size and opportunities for companies operating in Fintech industry in India? Consumer credit market in India is currently at $300bn out of which $98bn is the personal loans market. The market is currently growing at 14% year on year. The SME business loan market is currently at $600bn and is expected to grow to $3.4 trillion by 2022. In terms of the population, out of 1.2bn population only 150mn population has their history in credit bureaus and 20mn has scores acceptable to banks. There is a very small population that is being serviced by the banks. Around 10mn citizens are entering jobs every year and with more than 55% less than 45 years, the population would have huge aspiration to grow in life which would require access to credit for them. Who are your competitors and how do you stand out among them? While there are a few P2P players already operating in the market and some more entering the fray, the market is still in a nascent stage and has a long way to go before consolidation happens - so there’s enough room for everybody. Besides, our USP is being an end-to-end digital player that adds value to borrowers in terms of faster processing of loan applications & lower interest rates (as compared to banks on TAT & loan sharks in costs) and providing an alternative investment avenue to the discerning investors in the form of thoroughly screened credit-worthy borrower profiles and higher returns. Besides, we’re the only player that cater to both individuals and SMBs. How much funding amount was raised? As we started the business, we were bootstrapped. We didn’t want to go for any funding efforts before we have the product and proof of concept. Now that we have launched our platform in the market, we have our thoughts focused on the funding that we need. We’re working on this and you will shortly hear on this at the right time. While at this, we’re keen on identifying the right set of investors who understand our vision of creating a large scale disruption and be willing partners in our growth. Let me assure you that fund-raising will happen at the appropriate time that will provide us the impetus to shift gears and move to the next level. Currently Tachyloans is present in 50 cities in India. We are looking to expand our footprint to 200 cities for personal loans and 50 cities for business loans. We are also planning to expand the platform to other Asian countries by 2020. Our major focus is to cover tier 2 and tier 3 cities in the immediate future. FinMomenta will also be looking at having a substantial share of the digital lending market-share in India. For this we may have to evaluate NBFC acquisitions too. As a new age tech-savvy lending platform we primarily employ digital marketing as the key driver, but after evaluating the market response, we are open to using FM radio as well as outdoor advertising tools too. We are also looking at tie-ups and alliances with the related businesses to expand our footprint and service the need of customers.